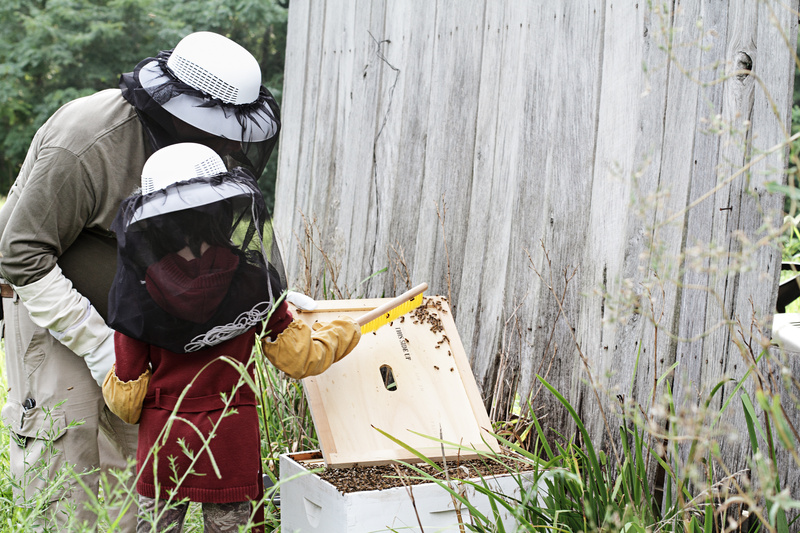 Not too long ago, Pope Francis threw his hat into the ring when it came to the issue of declining honeybee populations, specifically calling for a dialogue about “how we are shaping the planet” and also that families embrace an ecological culture. Megan Ryan, a Catholic Indiana special education teacher and environmentalist, has taken up the challenge of uniting ecological awareness with education—two fields of study she knows very well. To do this, Ryan and her business partner Alex Cornwell have started the Southwest Honey Company, the fruit of which is affordable, “adventure-style” educational programming for kids 6-18 years of age and adult social events—all of which furthers the organization’s mission to support global honeybee populations. Ryan started this company with the understanding of what honeybees face in this day and age—that their populations are declining due to diseases, invasive pests, pesticides, and the mysterious colony collapse disorder (CCD). As a species that relies heavily on honeybees, Ryan knows how drastically our lives would change without them, with their honey valued at more than $14 billion annually in the US alone, according to a Cornell University study. At this time, Ryan hopes to continue making an impact in and outside the classroom and that her approach will serve her well as she forwards her company’s mission. She has actually just received a grant from the USDA’s North Central Region SARE (NCR-SARE) to study the “symbiotic relationship between farmers, ranchers, and honeybees through consumer education.” The study will evaluate the direct impact and correlation between activity-based educational experiences and the choices people make to participate in active conservation of their natural environment in the community and at home. 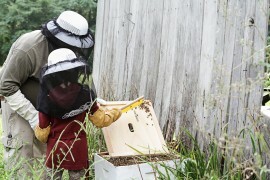 Beekeeper Reaping Rewards of Apple Nectar HoneyRecent CA Honeybee Attacks—Not Africanized Bees?